"Interesting, Selby has chosen precisely the warm-up route he took before winning last year's International Championship..if that match practice has brought him to anything near top form, he should ease to the semis." Neil Robertson kicked off the new season in style by winning the Riga Masters and landing a 10/1 touch for this column in the process. That solid victory represented another step towards full rehabilitation, having slipped down the rankings, and the Aussie is among the market leaders to follow up. With the first prize trebled, however, the World Open will be a much tougher affair. Whereas the world's very best were missing in that Riga line-up, Ronnie O'Sullivan and John Higgins were the only members of the top-16 to opt out. Several of these are currently in action at the low-grade Haining Open, so we will get some form indicators. However we can only guess regarding the wellbeing of the defending champion, who we haven't seen since the World Championship. Ding Junhui bossed this event last year, beating Kyren Wilson 10-3 in the final and enjoyed an excellent first half to the previous season. At the Crucible he peaked too soon, producing a standard very few players in history could match in the early rounds before running out of steam against a peak-form Barry Hawkins. There's always a worry with Ding early in tournaments and he faces an extra match than most here. The draw is not bad, though, with only Liang Wenbo representing anything like a top-class obstacle prior to a potential match-up with Robertson in the last-16. That would be a cracker but the Aussie's path is less straightforward. Walden, who lost their quarter-final 4-2 in Riga, could get a quick chance for revenge in the last-32. The Chester man was in fine fettle during the earlier rounds and has plenty of early season pedigree. All of his three ranking titles were won before Christmas and five of six ranking final appearances came in Asia. This section looks a lot more competitive, including numerous dangerous outsiders who may well be seen to best effect early in the season, when the big guns are rusty. Judd Trump and Barry Hawkins meet the latter criteria and both are easy to oppose. Hawkins started last season terribly and has made only three fifty breaks in three matches so far, losing to Li Hang in Riga. At more than twice the odds, Bingtao is much preferred. The 18 year-old withdrew from Riga for reasons unknown but hopefully it was just to prepare for this bigger event in his homeland. I'm determined to persevere with Yan until he breaks through. This is a future world number one who, having already beaten the very best, is expected to break through this term. The perennially over-bet Trump rarely appeals and could be vulnerable to any of his early opponents. Martin O'Donnell, Gary Wilson or Tom Ford are all capable of a good run, while Zhao Xintong was superb in the early Riga rounds, winning his first three matches 4-0. Of those, former China Open runner-up Wilson gets the nod, having already won a few matches at the Haining Open. This intriguing section could easily open right up, with only two top-16 players involved, who would meet prior to the the quarters. With no disrespect to Ryan Day, who struggled in both matches so far this season, this revolves around the world number one. Mark Selby has never won this event but his record in China is formidable. 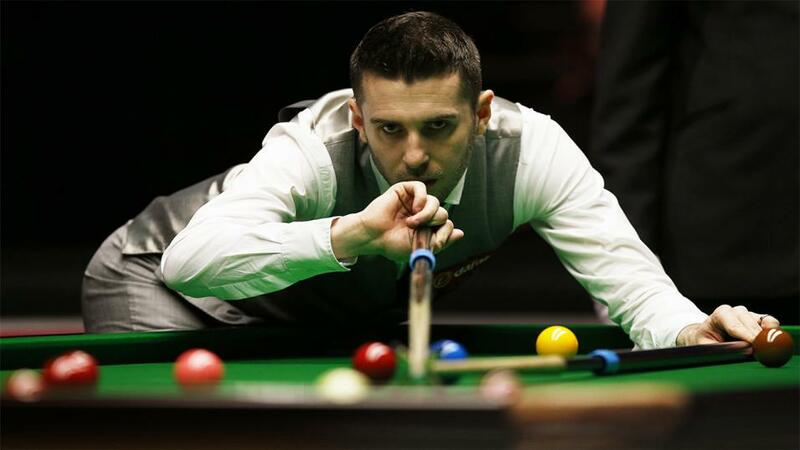 Interesting, Selby has chosen precisely the warm-up route he took before winning last year's International Championship - he faces Gary Wilson in the Haining Open quarters today. There are some tricky obstacles but, if that match practice has brought him to anything near top form, he should ease to the semis. Favourite to emerge from the other eighth is Xiao Guodong but an alternative at huge odds is a player who won during the penultimate season. Anthony Hamilton's 2017/18 campaign was ravaged by injury and he is battling to save his career this term. He started very well in Riga before running into a far superior opponent. Finally by far the most competitive quarter, involving at least five frontline contenders. Mark Williams is hard to back at shortish odds after losing to Zhang Yong last time, especially given a series of tricky opponents from the outset. By contrast, Jack Lisowski and Stephen Maguire both produced plenty of good stuff in Riga. The latter represents solid each-way value but the younger man has a horrible path. Chris Wakelin is no pushover first up by any means, probably followed by Mark Allen, just to reach the last-16. While that lot carve each other up, Wilson shouldn't have much trouble in his first two rounds. 'Warrior' keeps bringing his A-game to the big events and is well up to at least emulating last year's run to the final.